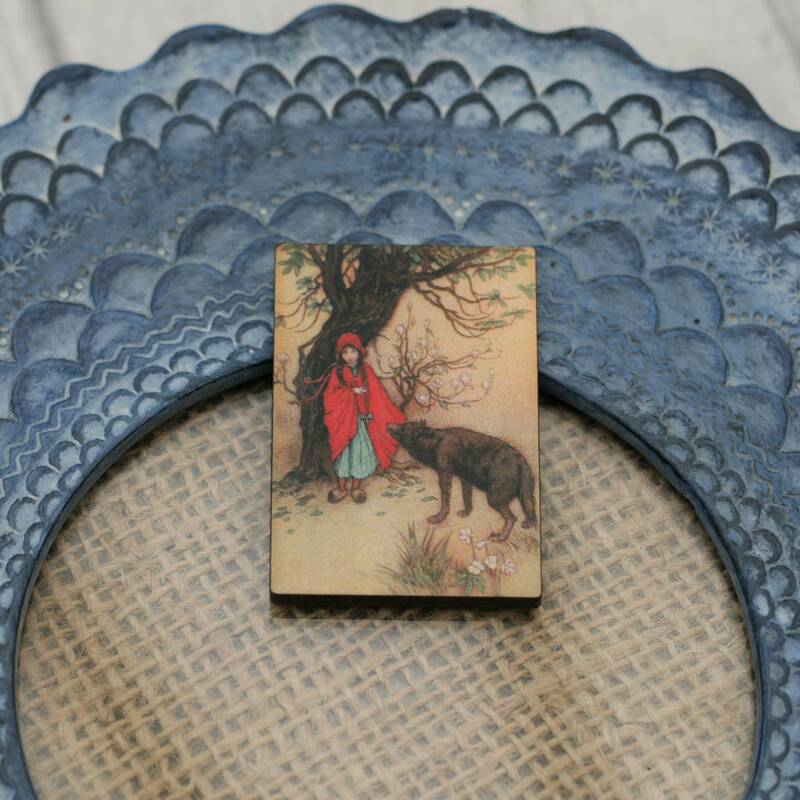 Image of Little Red Riding Hood and the Big Bad Wolf adhered to wood and laser cut to size. A silver plated fastening has then been added to the reverse to make this stunning brooch. • This brooch is very lightweight and can be attached to bags and coats easily. It would suit any Little Red Riding Hood loving individual. • This brooch is made from paper and wood and therefore will not withstand being taken in the shower or swimming pool. • All brooches come packaged securely in their very own gift box and will be mailed securely in a bubble envelope.